If you take a look at almost any random comic book superheroes you will find one similarity in them, they are inspired from God characters. Let us take a look at 5 such superheroes who have been inspired by God from some or the other mythologies. We all know that the God Of Thunder is Thor. Turns out that the inspiration for the Marvel Superhero Thor is the God of thunder himself. He is the son of Odin and his back story is heavily inspired from the Nordic Mythologies. Our very own “Man Of Steel” Superman is inspired from none other than the God of Gods, the ever powerful “Zeus”. Now we know why he is the most powerful Superhero ever created! Doesn’t come as a surprise since the Scarlet Speedster has been acting as a messenger to the Justice League in times of crisis and he is really really fast. Also if you are interested in knowing more about The Flash then here are a few awesome facts about him. 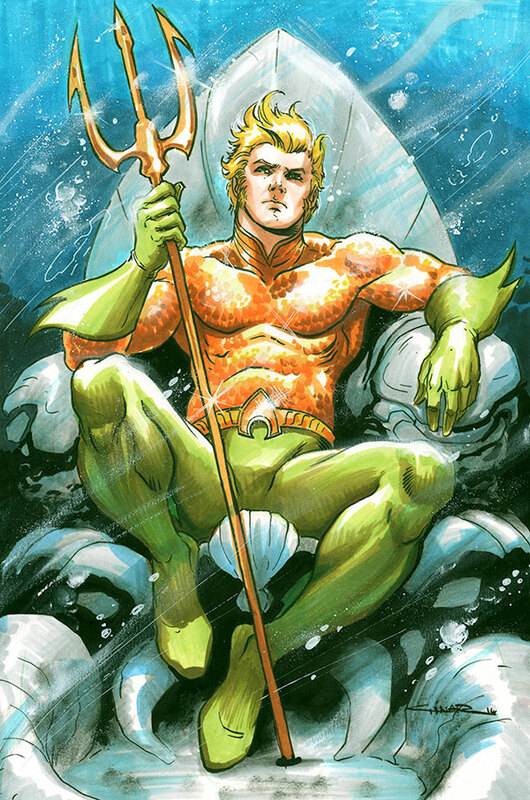 Aquaman is the King of the Oceans and is inspired from the God Of the Sea, Poseidon. He is the ruler of Atlantis, the lost underwater city and can make sea animals follow his orders. Everyone’s favorite Wonder Woman is inspired from the Greek Goddess Hera. She is absolutely gorgeous and a great warrior as well. Her strength almost matches that of Superman and is one of the leading members of The Justice League.